A trio of mad Irish cyclists have arrived safely in Beijing, China yesterday after setting off on the 14,000km journey from from Sandyford, Co Dublin last September. 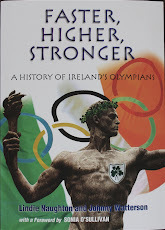 Mark Donlon (a former junior mountain running international), Conor Rowan and Paul Ryan, were aiming to arrive in time to support their pal David Gillick in the 400m heats on Monday August 18 (2am our time). Along the way, they experienced an earthquake and two near arrests among many other adventures. While in a hostel in the Chinese city of Xian, they felt the earth move - an earthquake, measuring 7.8 on the Richter scale. After two or three minutes of shaking and rattling, they rushed out of the hostel. On the street, ambulances and fire brigades were buzzing around. In Iran, they had an uncomfortable few moments explaining themselves to the local gendarmes after trying to spend a night in a mosque. Some local children had suggested they stay there, and the mosque's caretaker gave them permission. No sooner had they settled in than they were surrounded by 20 police officers armed with AK47 guns. "They told us it was not right for Catholics to stay in the mosque and they sent us to a hotel," said Mark Donlon. The "Bike to Beijing" bike ride has raised more than €36,000 thus far for UCD Volunteers Overseas and ARC Cancer Support Centre, Dublin. The target is €100,000. 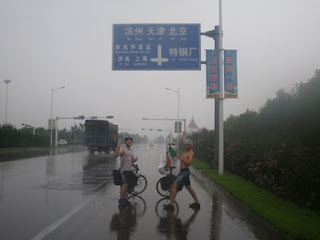 If you want to read more about the lads' adventure, go to http://www.bebo.com/biketobeijing2008 where you can also make a donation and help get that figure up!